DBS announced today (15 November) that it’s partnering the National Council of Social Service (NCSS), Media Literacy Council (MLC), Institute of Technical Education (ITE) and Chubb to take on cyber bullying and online identity theft. With 3 in 4 youths in Singapore admitting to being cyber bullied, the bank aims to empower more young people to protect themselves in cyberspace. The CyberSmart Partnership Programme will see 500 ITE College West students learning about cyber safety and online privacy, through a training course developed and facilitated by Fei Yue Community Services and TOUCH. To reach the rest of the community, DBS will disseminate MLC and NCSS’ educational materials about cyber safety across the bank’s social media platforms. 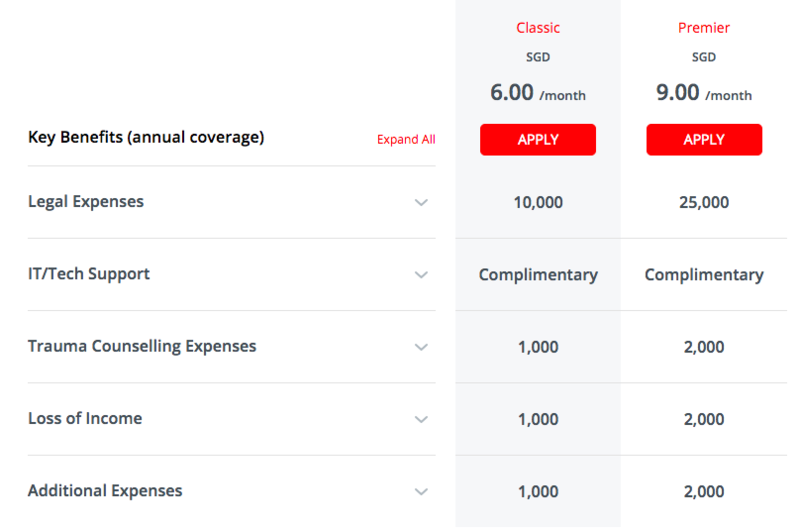 But probably the most noteworthy, and somewhat intriguing part of DBS’ initiative is the launch of their new CyberSmart insurance plan. Underwritten by Chubb Insurance Singapore Limited, the policy safeguards individuals in events of cyber bullying and online identity theft. CyberSmart will provide a free legal consult and initial trauma counselling session, up to 1 hour each. After which, the policy will cover up to $25,000 for legal expenses and up to $2,000 for further trauma counselling. Insured individuals can claim up to $2,000 for loss of personal income due to time taken off from work to restore and rectify records of their identity, and up to $2,000 for additional expenses incurred as a result of the incident. The policy also provides access to a 24-hour IT hotline and complimentary IT support to help resolve or minimise the extent of the attack online. It doesn’t cost much to insure yourself, with a classic plan at $6 per month, and a premium plan offering higher policy limits at $9 per month. CyberSmart is also offered as a family plan, which protects the policy holder, their spouse, and all dependent children up to 21 years old residing with them. For families, it costs $9 per month for classic coverage, and $15 per month for premier. 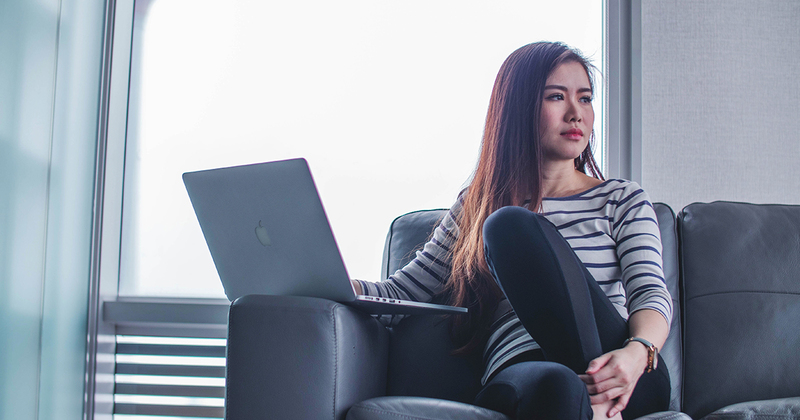 In order to submit a claim, users must first make a police report of the cyber bullying incident or online identity theft to the Singapore Police Force. They can then submit their claims and supporting documents to Chubb Assist, and expect to be reimbursed within 5-7 days after the claim is accepted. 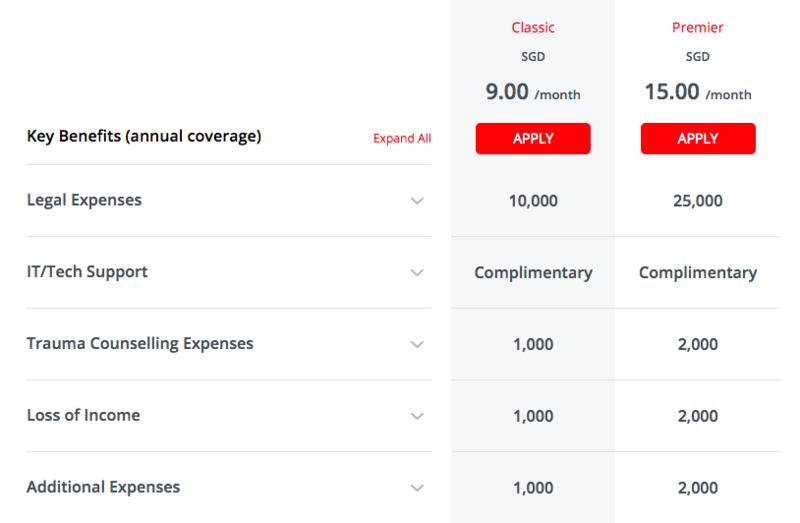 DBS is currently offering a promotion that gives customers 3 months of free cover when they choose annual payment for their CyberSmart plan. Insuring your online identity is a pretty new idea, and it doesn’t seem like something the masses will adopt as widely as other more conventional policies. Like NTUC Income’s Droplet that protects commuters from surge pricing on Grab, CyberSmart is also more tailored to the younger, digital generation, tackling new issues that arose with our online behaviour. I can imagine how this would come in handy in a time when many define who they are with their online personas. When our online presence speaks for us, we inevitably run the risk of having vulnerable information leaked, receiving abuse, or even having our identity stolen and used for unauthorised purposes. But as much as DBS’ new policy sounds like it was made just for social media influencer-types, it may turn out to become essential for families with children and youths, as the young in Singapore get ever more connected and willing to share their lives online. It would also be interesting if CyberSmart’s coverage for online identity theft extends to an individual’s portfolio hosted on online channels. If so, it would be a great benefit to freelancers who work mainly in the gig economy, as they could stand to protect their source of livelihood. Would you insure yourself against online attacks like cyber bullying and identity theft? Comment and let us know! For more details about CyberSmart, click here.